“On Monday 9/10/13 Surfing at Rhossili Bay / Gower (worms head end). Would be great to get it back. “I lost my GoPro Hero 3 Black Edition on the shores of Destin, FL in Miramar Beach. Lost on 9/11/13 around 1pm. LOST! : on Kailua Beach, Hawaii, USA, on 2013-09-?? 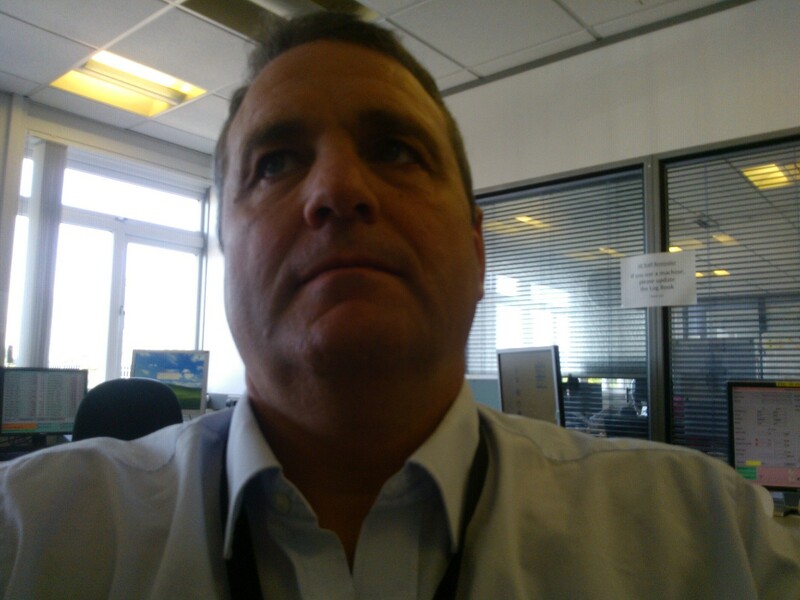 ” I am so bummed I list my GoPro3 camera. I was catching some waves at Kailua beach when this wave came and knocked my board out of my hands. When I went to retrieve my board my gopro disappeared. I died a little inside. I have some pictures and vids on it. I wore a black, yellow and white bikini with a blue body glove board. I know it was stupid of me to not attach a floater. I would be very greatful if anybody could find it and return to me. ” Lost while boogie boarding at the beach of Wildwood Crest, NJ on August 26, 2013. It was attached to a wrist housing at the time. “Found a GoPro Camera in the Sea. Send me Serial Number or a Picture of You or Your Friends on the Camera. Camera was Lost in a Wave in the sea. If you think that this might be yours, please send us a message. We’ll pass it to Max! How to travel safely with your GoPro Camera? As many people are asking themselves “How will I carry my camera around, with my most used accessories?”, I am explaining here my method. I put my GoPro Camera and accessories on top of the foam and started to extrude the shape of my GoPro Camera and accessories. Finally I inserted my cameras and accessories in the cuts, and voila! 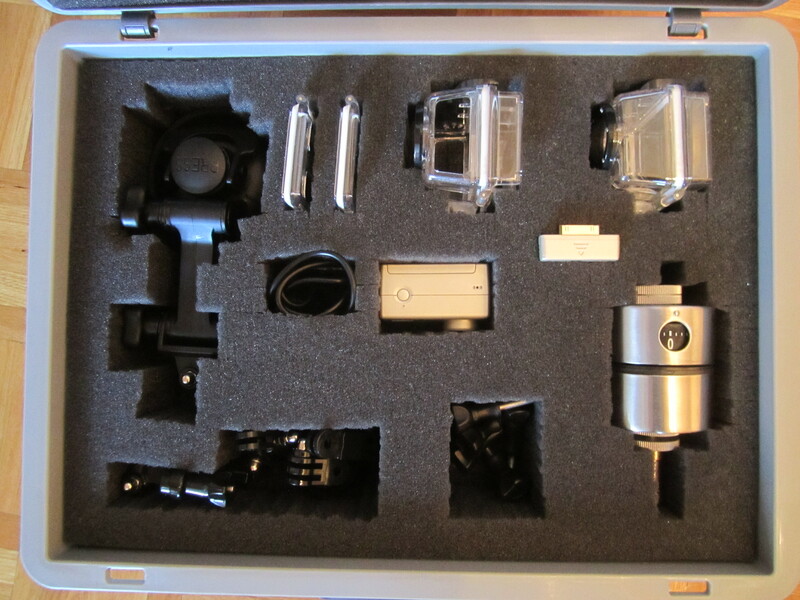 A GoPro Camera (up to three could be carried in my box: 1 in the foam, two in the two HD housing. Finally I placed a GoPro sticker on the case in order to identify it quickly and my details (name, email, phone) under the foam sheet that is located on the cover of the box. 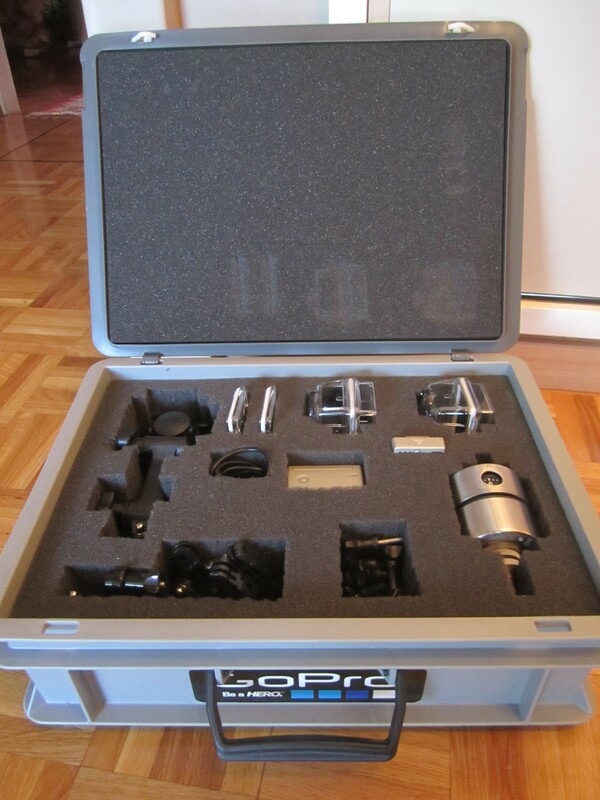 What can’t be put in the box: a pole (1.5m long, aluminum), my Manfrotto big and small tripods, the Gorilla tripod. Comments are as usual welcome! A GoPro Camera on top of a DSLR? I had the idea to endorse two jobs: a cameraman and a photographer. 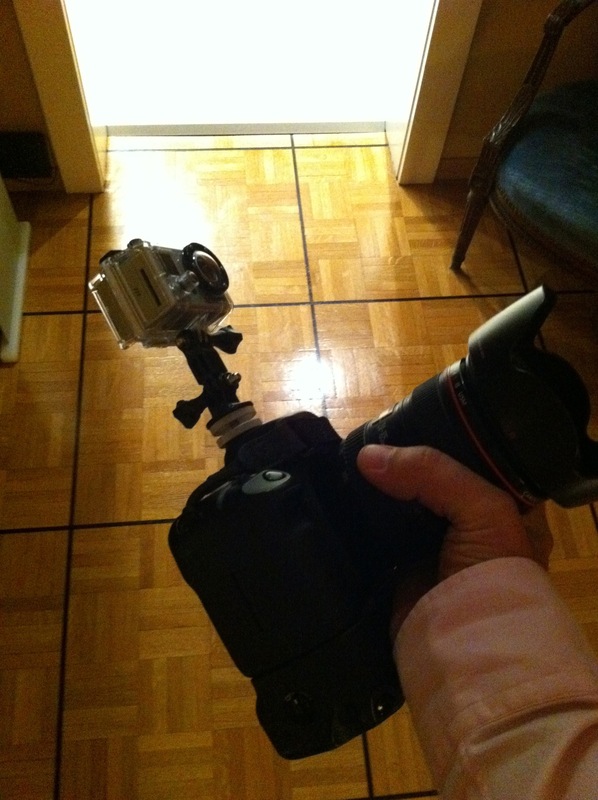 So I put my GoPro Camera on top of my Canon EOS 5D DSLR using a GoPro Tripod adapter, and a Flash holder adapter.